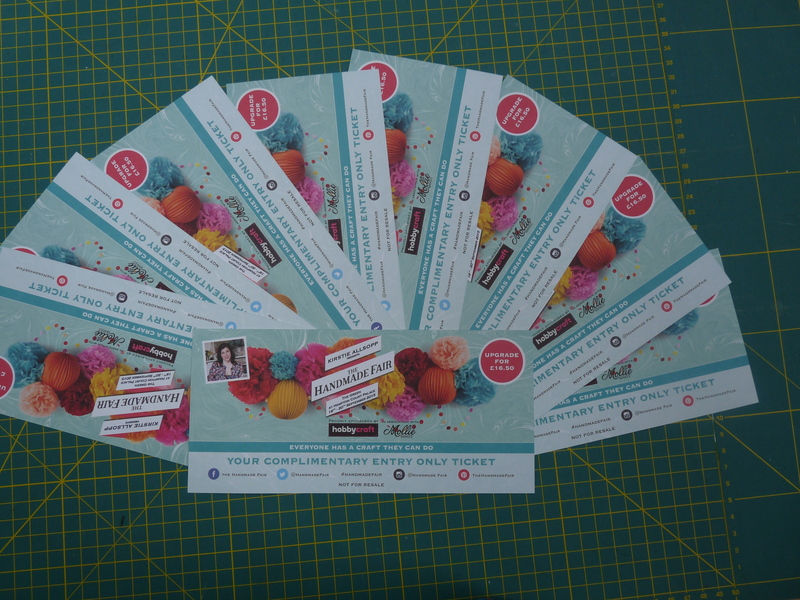 Look what I’ve got…complimentary tickets for Kirstie Allsopp’s Handmade Fair at Hampton Court Palace in London and I am going to start giving them away. If you would like to win a pair of tickets all you need to do is add a comment to, then like and share this post. The show will be open from the 18th to the 20th of September 2015. I will be there with lots and lots of projects to make and do using British wool tweed and I will also be launching my newest range of goodies which will make ideal Christmas presents for crafters. Before I forget, Kirstie is also going to do a Christmas Handmade Fair at Manchester Central from the 20th to the 22nd of November which I will also be at. So for now, get liking and sharing of you want to be in with a chance of winning tickets!